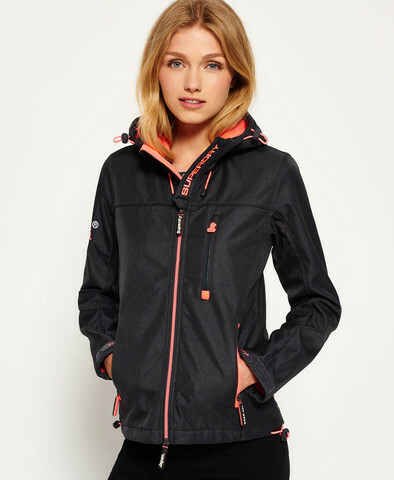 Superdry women's Hooded Windtrekker jacket. This jacket features a fully lined body and hood in a contrast colour, a front zip fastening and three zipped front pockets. The chest pocket is completed with a headphone cable eyelet and the cuffs are hook and loop adjustable. The hooded Windtrekker jacket is finished with the iconic embroidered Superdry shoulder logo.